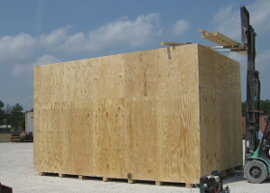 As one of the premier crating companies in the area, we have been serving Houston for over twenty years. C.C.I. 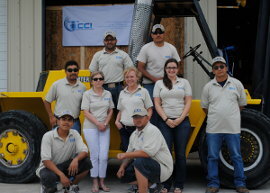 Inc. serves a diverse range of businesses, big and small alike, as well as the oil field industry. We are highly respected for our professional packing, custom crating and excellent customer service. Our trained and certified staff is on hand to take care of your packing requirements. C.C.I. Inc. will take anything that needs to be packaged for shipment. Using boxes, crates, cartons, drums, skids and other packing materials we will prepare your items for transport by land, sea or air. Our custom fabricated crates are designed and built based on the individual items weight, dimensions and final destination. We offer a wide range of DG services, including packing, chemical repours,onsite services, consulting and training. 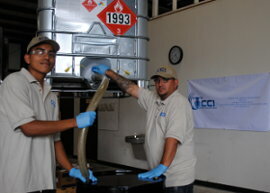 Our fully certified staff will help you to take the worry out of hazmat.Houston's leader in Export Crating. Certified in IATA ICAO IMO DOT.